I do know that Kim Kardashian tweets about ShoeDazzle but IDK how involved she actually is. Those shoes are hot though. I love Steve Madden shoes so no surprise I love ones that remind you of those. Love love love!! Are you bringing them to Vegas?! Are those pretty comfy? Did they fit true to size? I usually wear a 7 and ordered a pair from there in a 7 and they looked more like a size 8..they were huge! So even though I love the Stephanie, I am afraid to order them due to the size disaster with my last order. Hey! Yes I am absolutely in love with all the shoes I have gotten from Shoe Dazzle. For me I found out (luckily, by chance) my size- which all of their shoes I take a half a size smaller than Steve Madden Shoes. Because so many of my heels are from Steve Madden which I am ALWAYS a 6.5 or a 7 I got the 6.5 through shoe dazzle and they fit perfect. So say for instance you are a 8.5 or a 9 in Steve Maddens, your best bet would be to get your Shoe Dazzles in a size 8.5. I have been really happy with them in regards to exchanges too. A pair I got a few months ago didn’t end up to be the style I thought it was going to be and they not only included the shipping label but also gave me a full refund within 4 days. I wouldn’t go to any other sites. I hope this helps… If not please let me know- I have a great contact at Shoe Dazzle that could possibly help you further. On Shoe Dazzle I am a Size 6.5 which is the same size I wear in Steve Maddens… That could be an easier way to figure out your size. 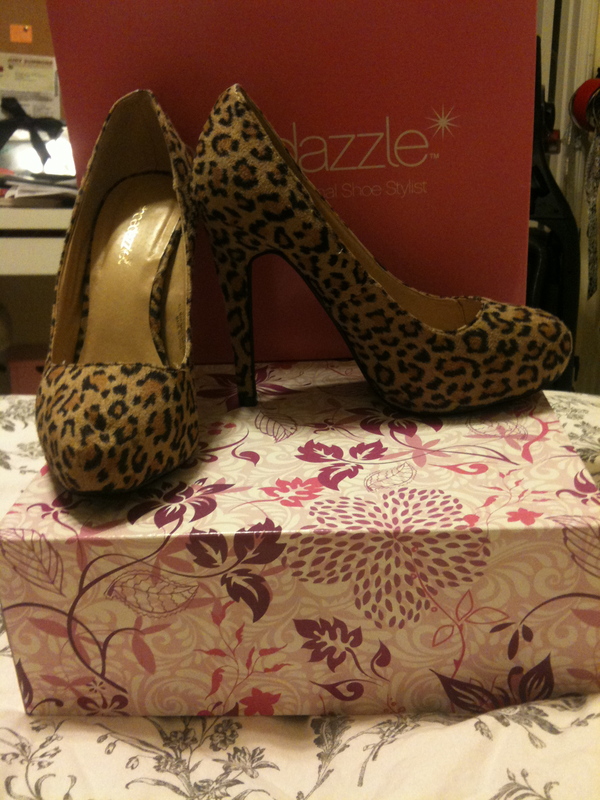 I recently placed my first order with shoedazzle. 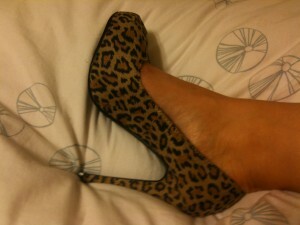 I ordered a sling back peep toe hot pink platform shoe and a snakeskin closed toe platform shoe. I wear a size 7 and my feet were literally hanging off the sling back shoes, so I definitely had to return them. I am waiting for those shoes to be credited to my account. The snakeskin ones fit better. They have chains on them that can be clasped. One of the clasps were broken when I recieved it, but I didnt worry about it because I could still open and close it. I wished the shoes had more wiggle room, but they were OK. I wouldn’t say the shoes were 100% comfortable, I wore them for 7 hours straight and my feet were crying mercy at the end of the night! Next time I order I will order a half size bigger and put an insole in if it is too big. Overall I give shoedazzle a 6/10. To see the pair of shoes that I purchased check out my blog cherrieamore.com.